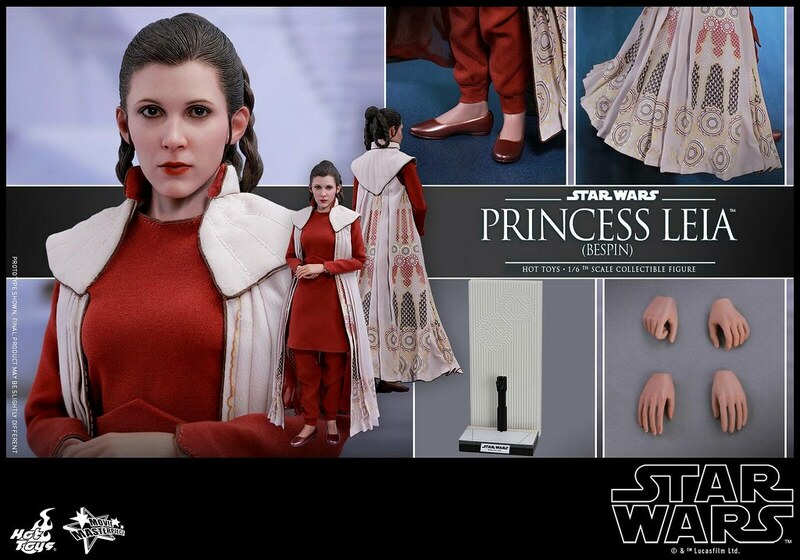 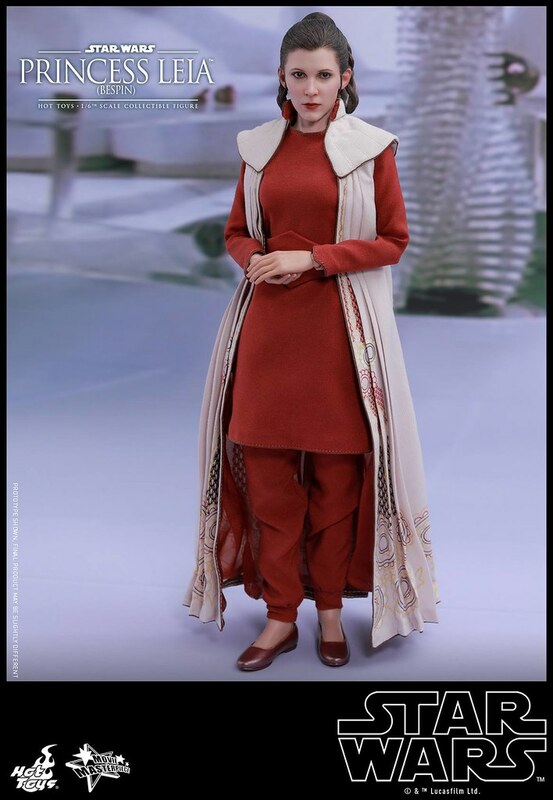 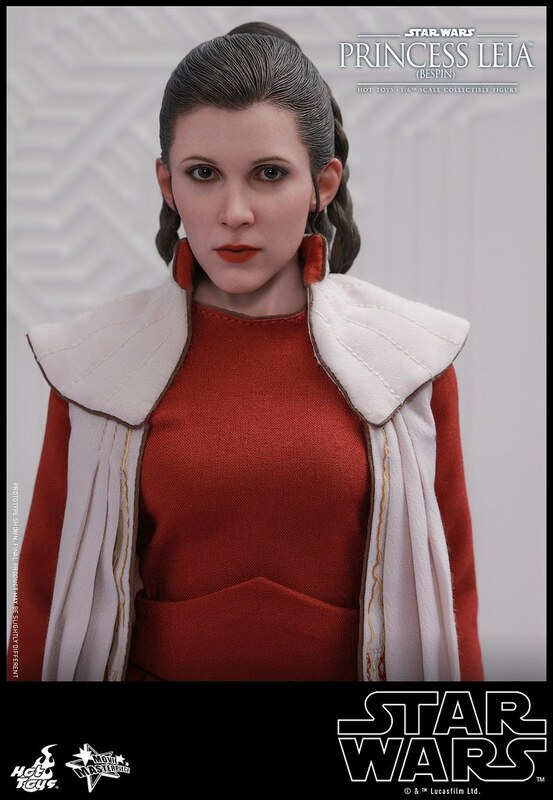 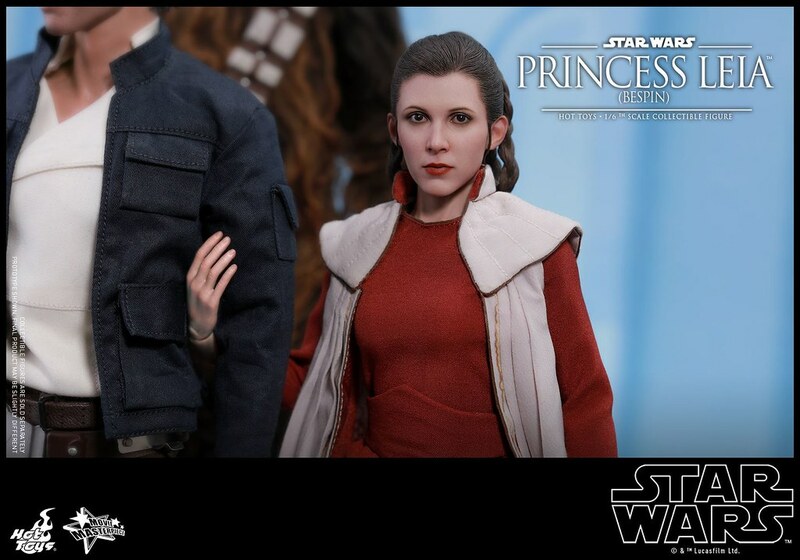 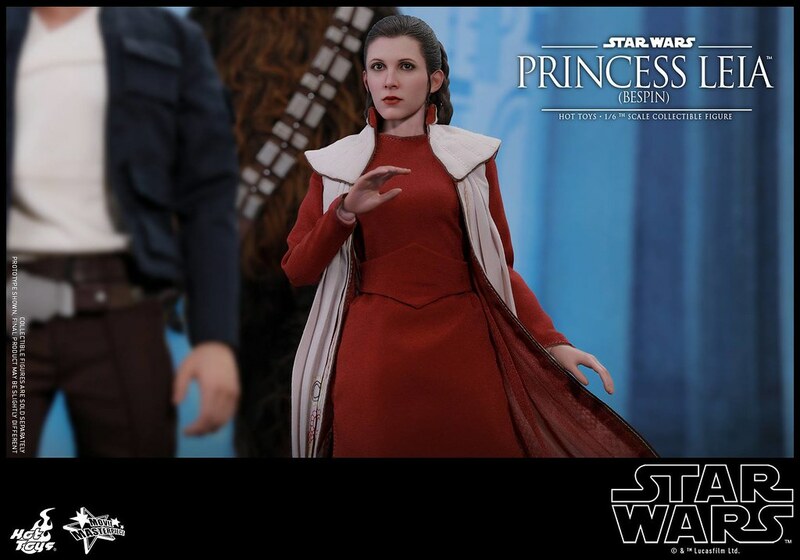 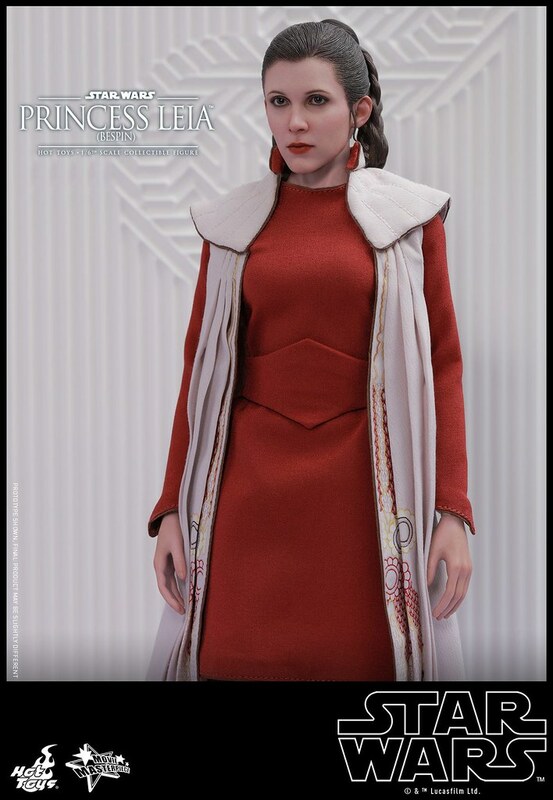 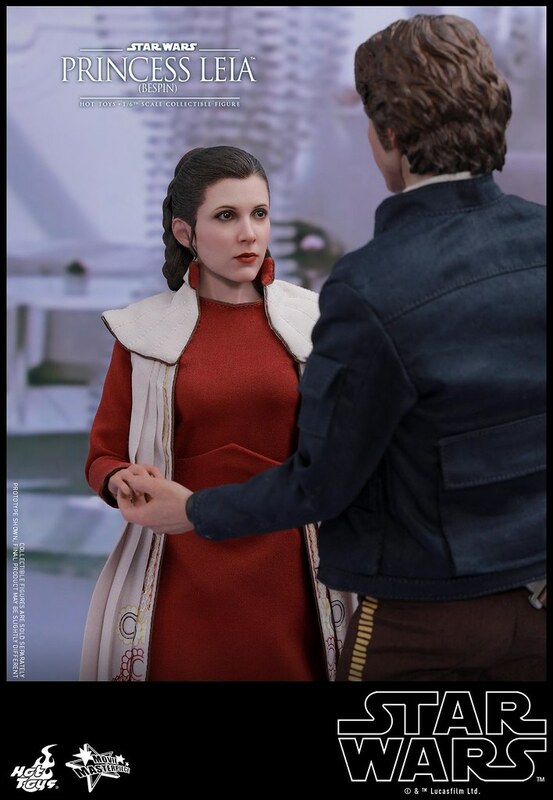 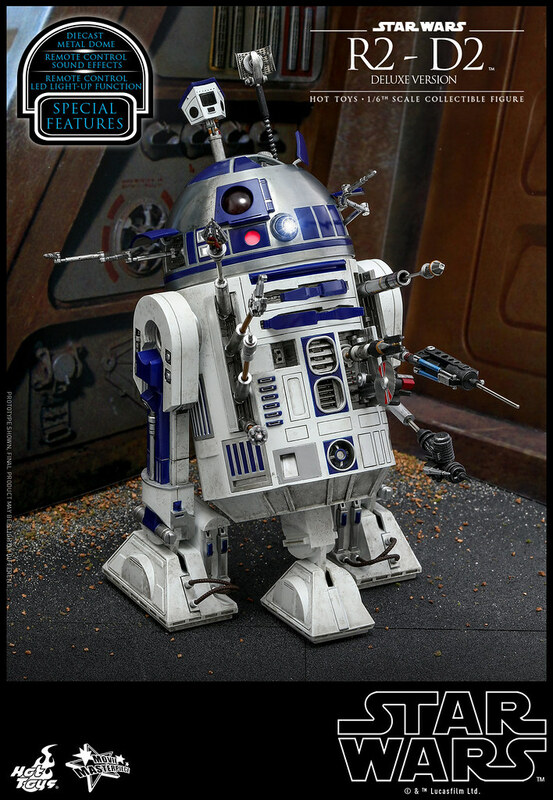 After releasing 1/4 QS013 Darth Vader, 1/6 DX16 Darth Maul, and DX17 & Sith Speeder, Hot Toys announced yesterday Princess Leia (Bespin) 1/6 Scale Figure from The Empire Strikes Back, releasing between Q3 and Q4 of 2019! 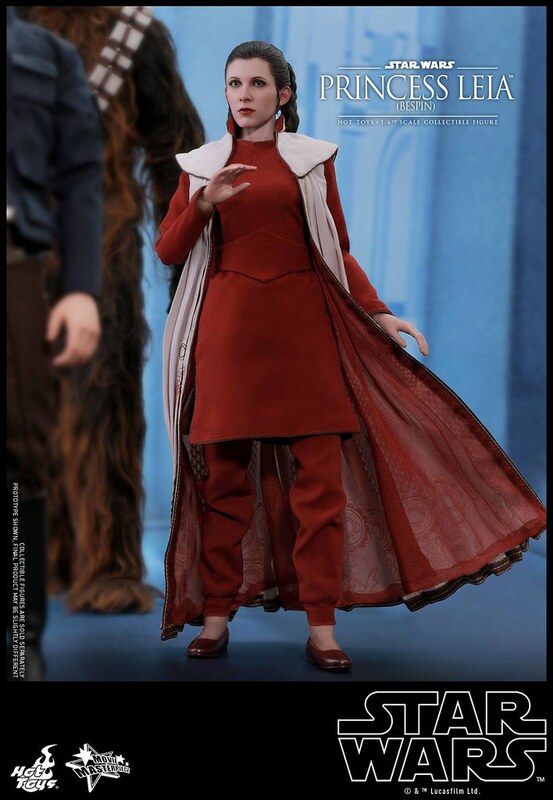 After Han and Leia arrived on planet Bespin, Cloud City, she switched to a glorious ball-dress and changed her hair. 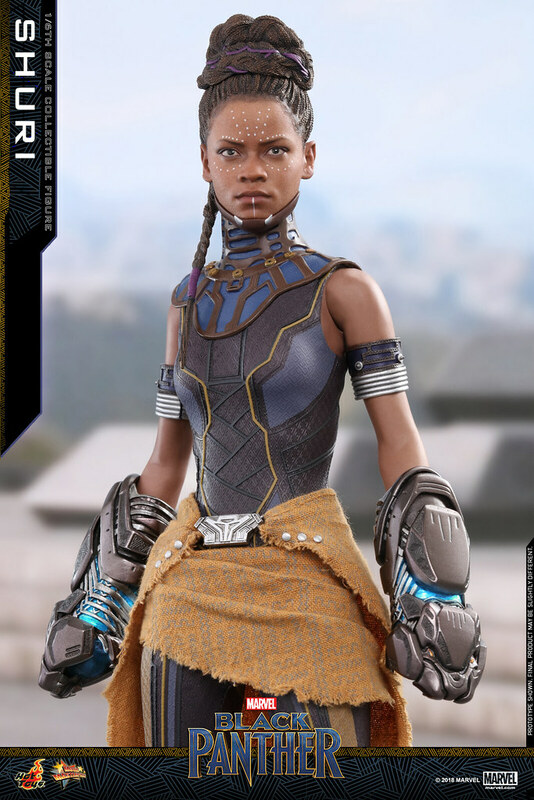 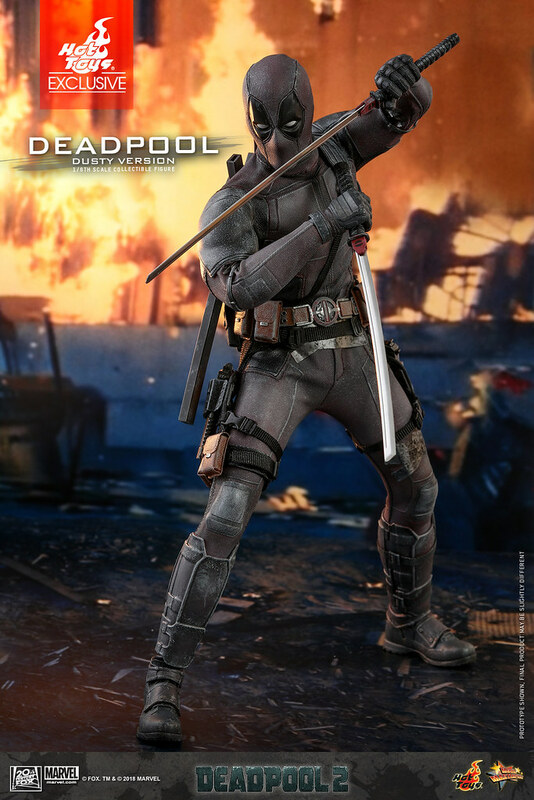 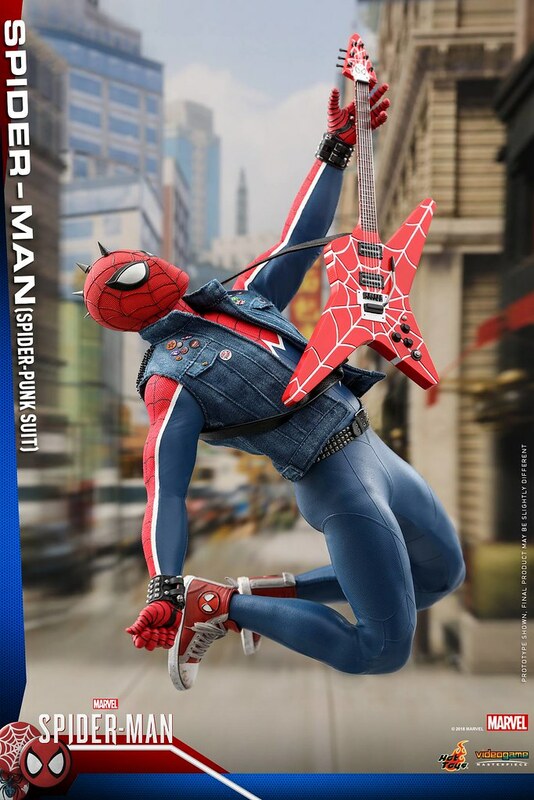 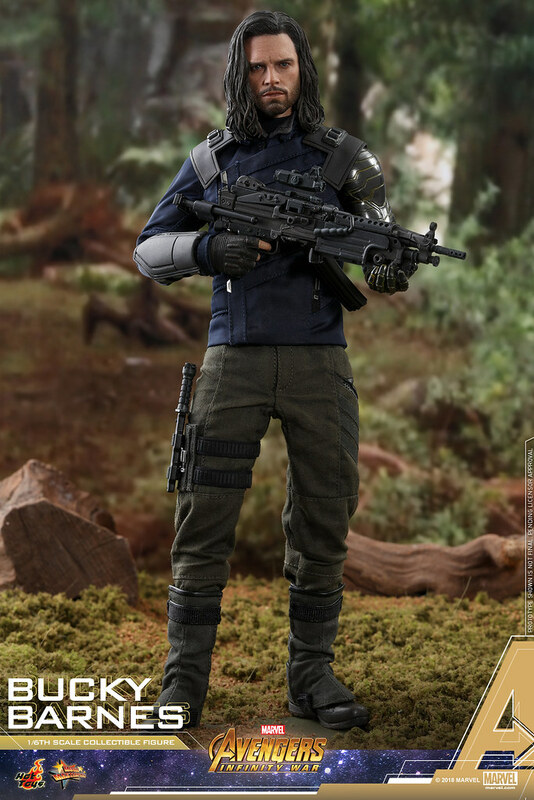 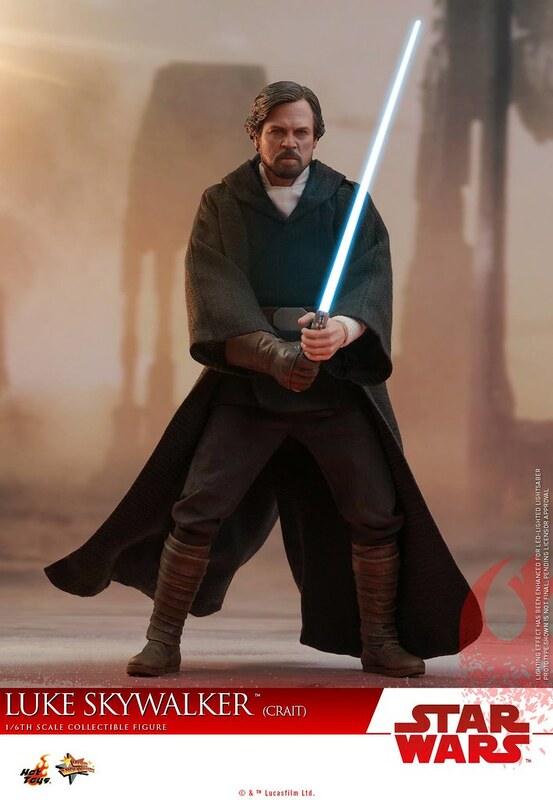 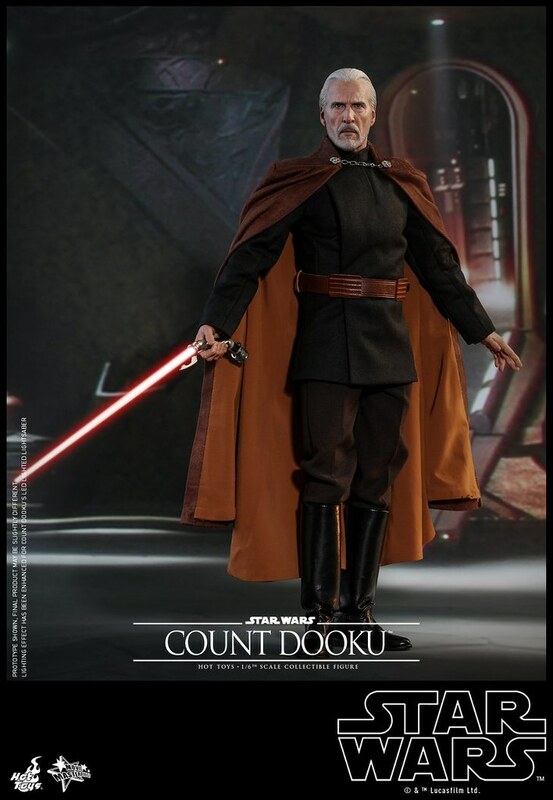 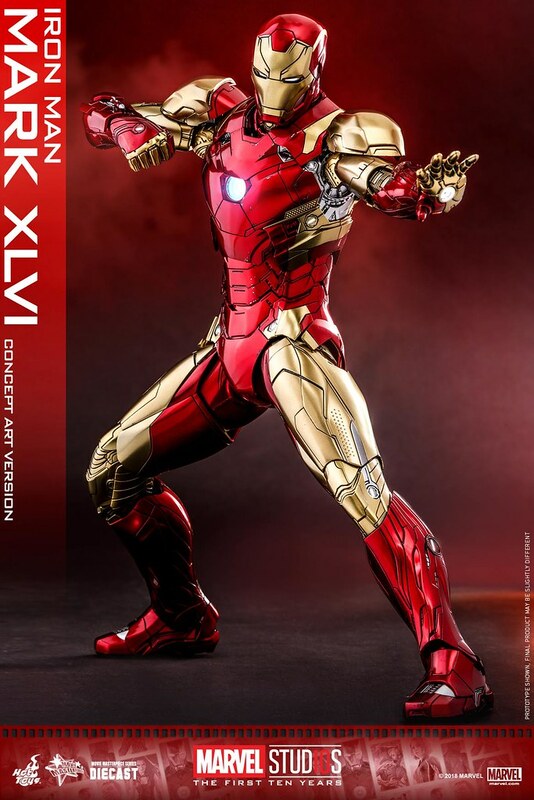 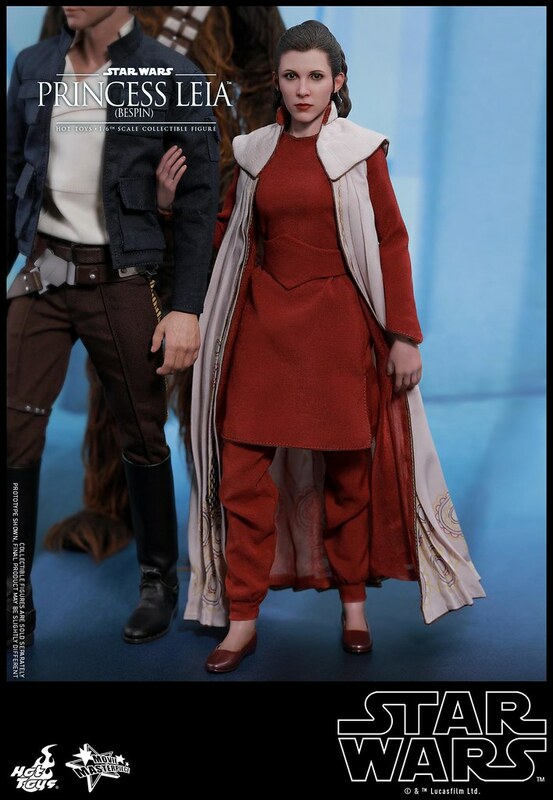 Besides stunning Lando in the film, it must be the same for many Hot Toys fans who've long waited for this version. 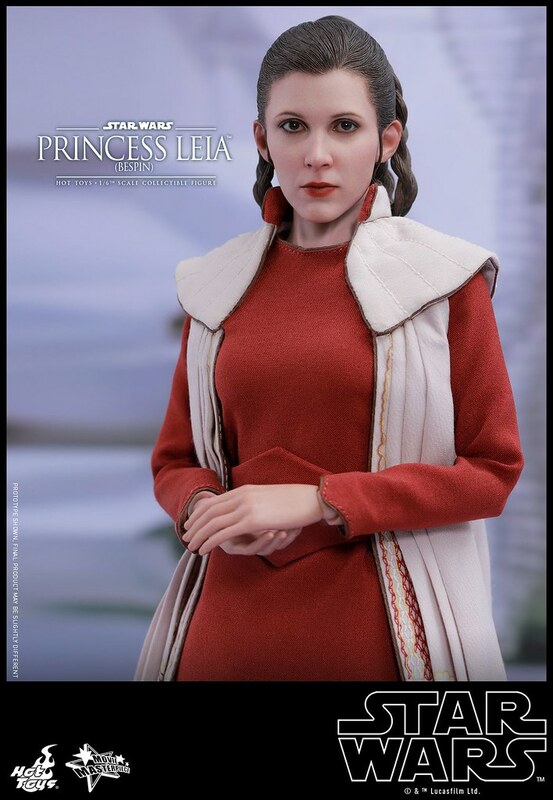 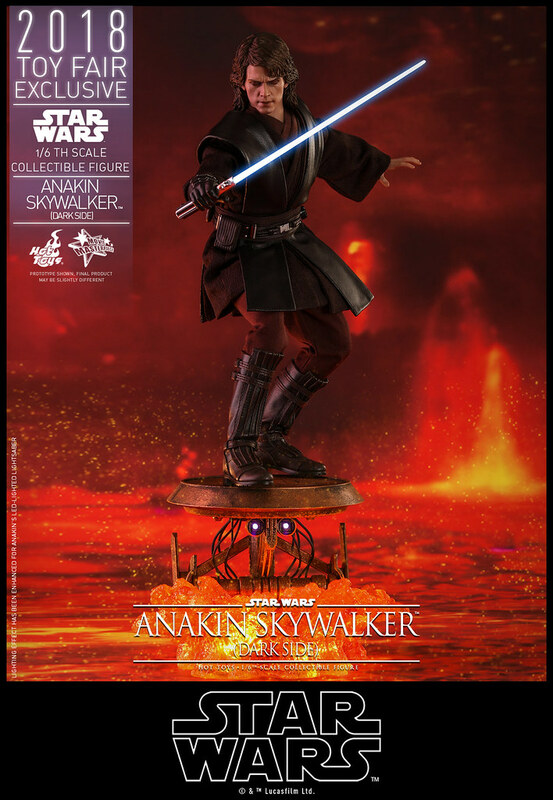 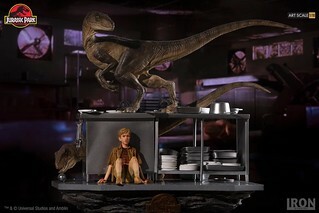 Princess Leia (Bespin) 1/6 Scale Figure stand 27 cm, with a total of 28 points of articulation. 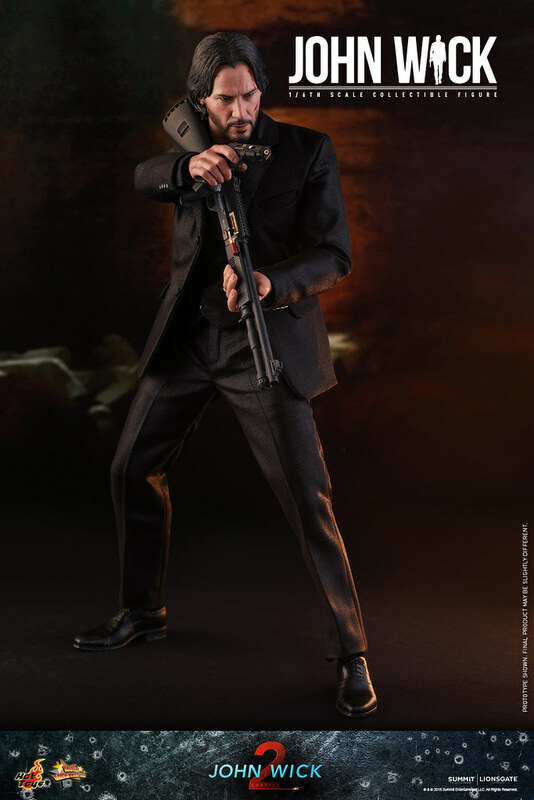 Head sculpted by So-Young Lee, and paint by E-Lee and JC. 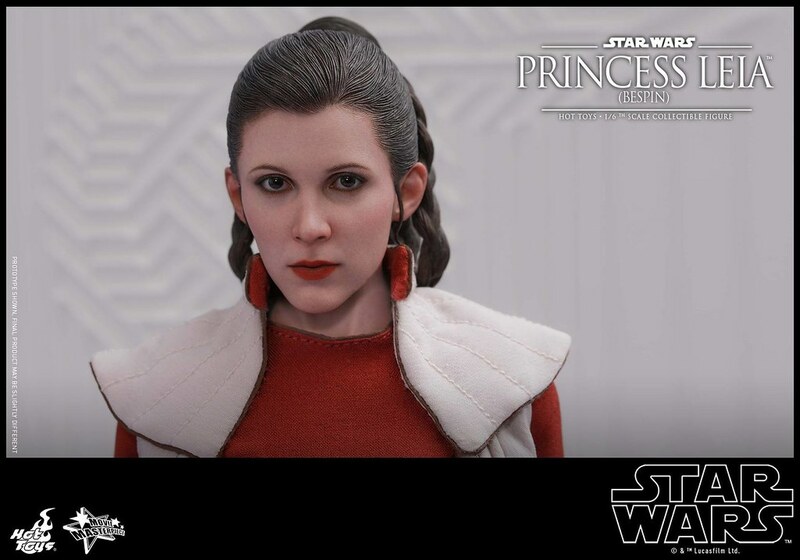 Hong, they attentively shaped actress Carrie Fisher facial features and made her looked even younger. 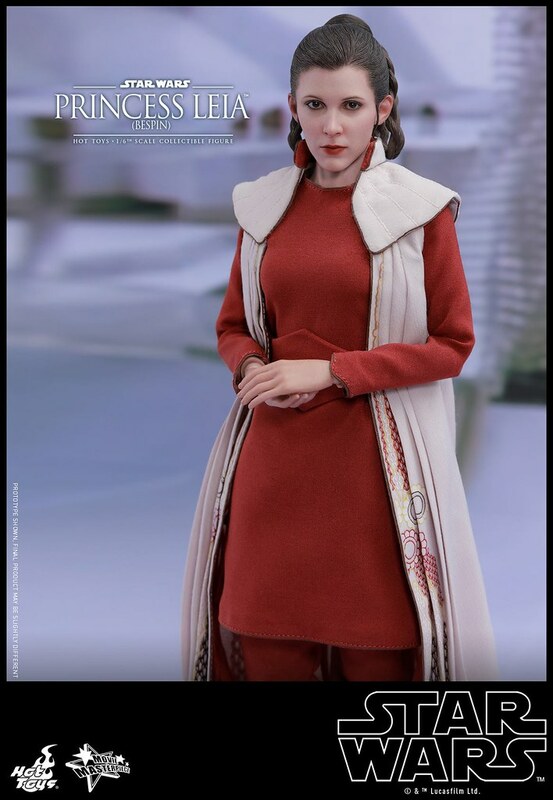 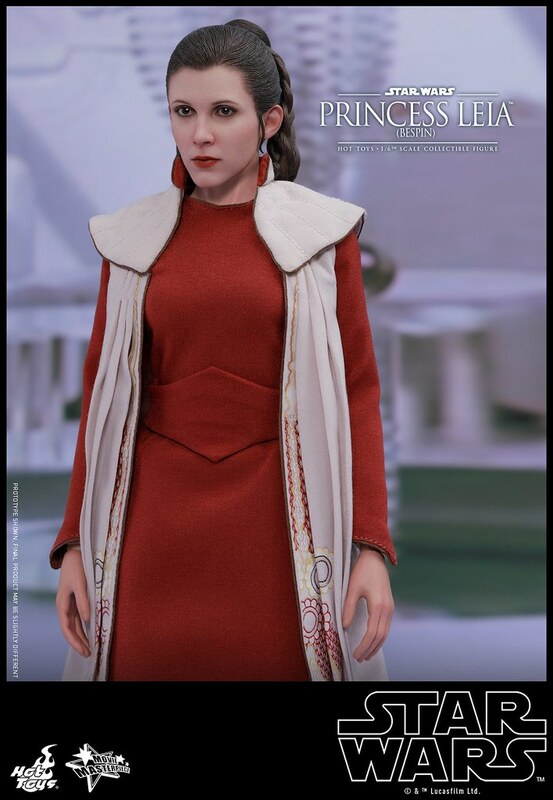 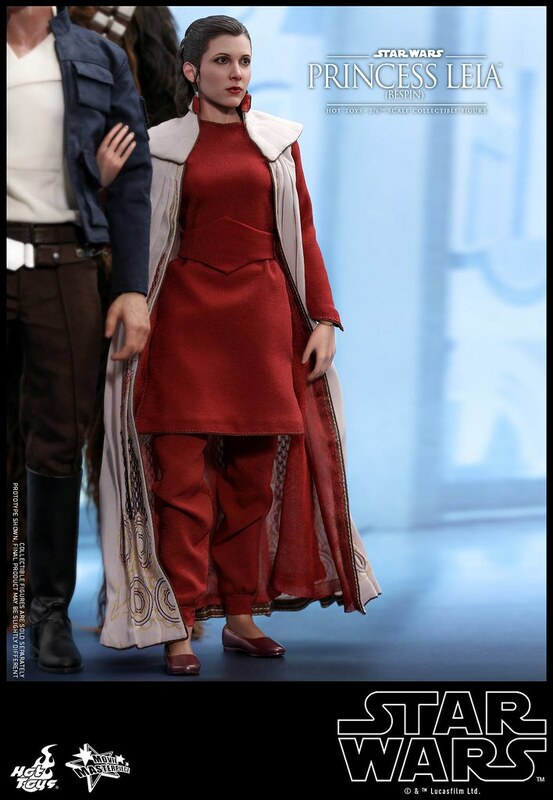 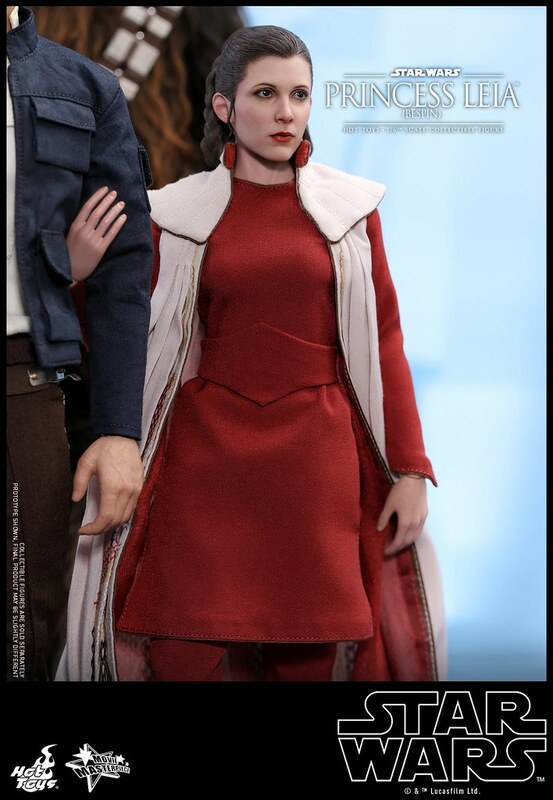 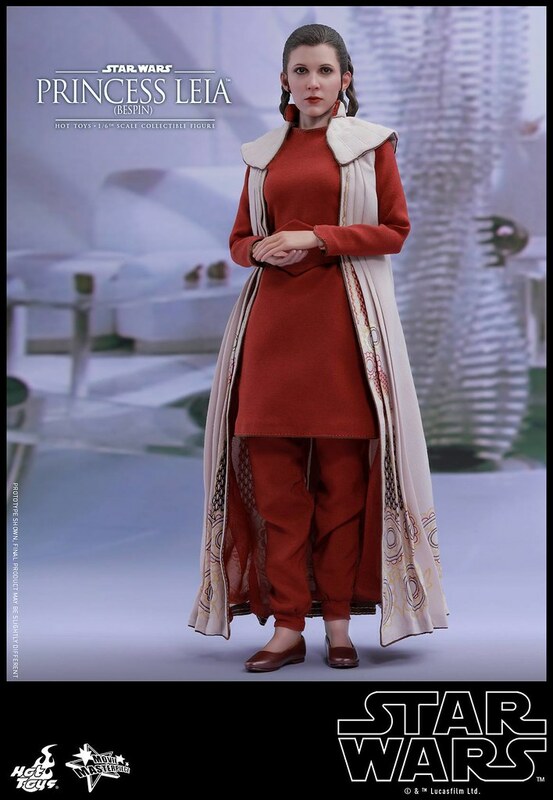 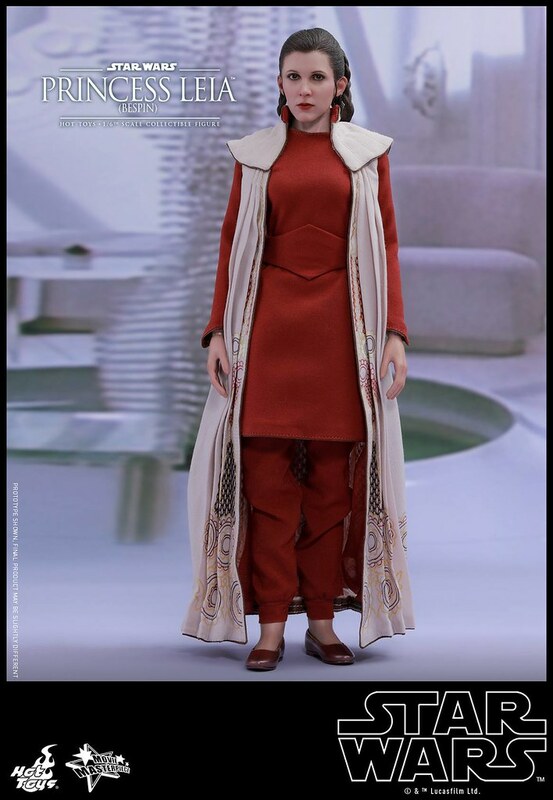 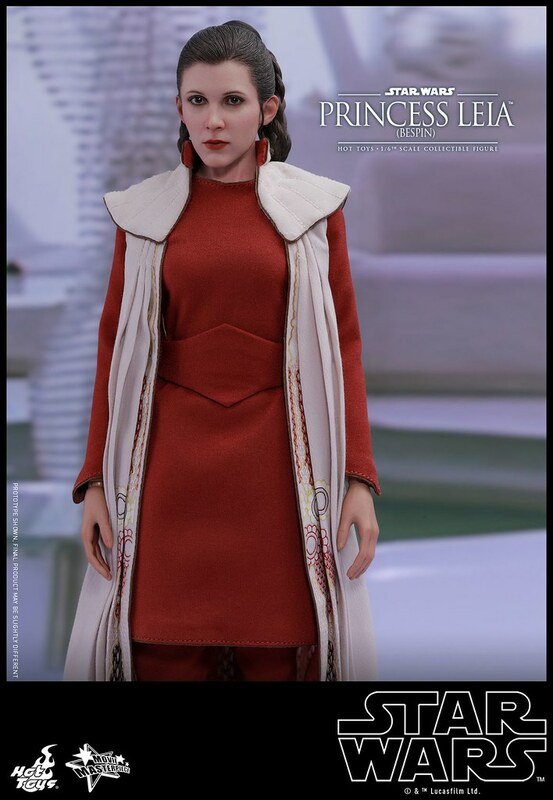 Furthermore, the burgundy fabric pair with a beige robe and skimmers shoes reveals the rare prestigious side of Leia, who've spent most of her time fighting the empire.